*All finance quotations and lending are handled by a third party; Creative Funding Solutions Ltd which is a brokerage regulated by the FCA - Ref - License Number 631176. 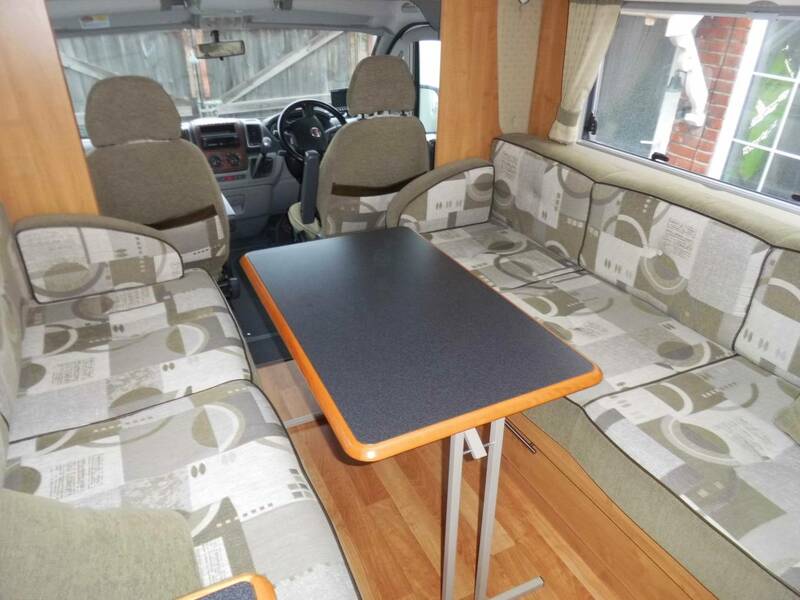 A beautifully presented 6 berth automatic motorhome with an island bed and a large rear garage that has been beautifully looked after by the current owners. If you want to travel and holiday in style then you should view this vehicle. At the rear is the fixed island bed which means two things. Firstly, no making up and putting away the bed each day and secondly no climbing over each other to go to the loo at night. The bedroom is light and airy thanks to the large rooflight and there is wardrobe and drawer space in abundance. As you exit the bedroom there is a large separate shower room on the right. 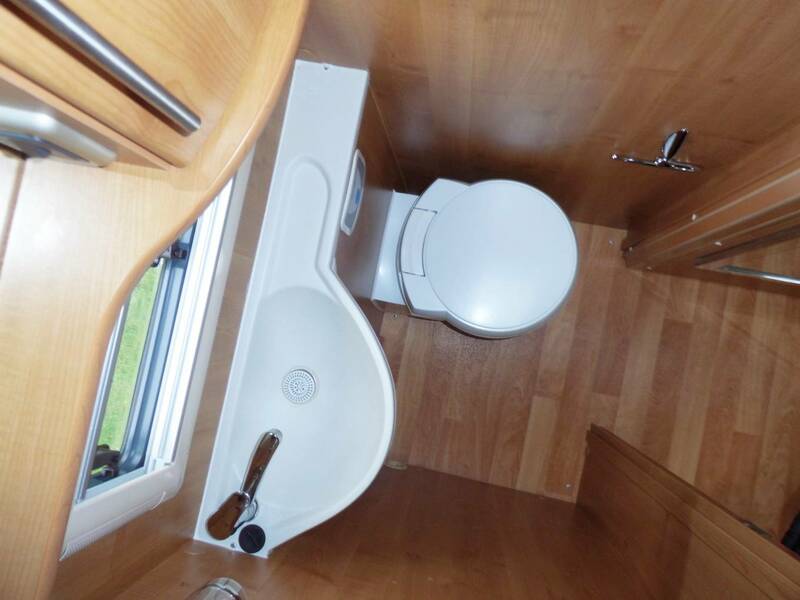 Opposite this is the very stylish washroom with toilet, basin with mixer tap and storage space above and below. If you enjoy cooking you'll love the kitchen which has everything you need to rustle up a gastronomic treat. 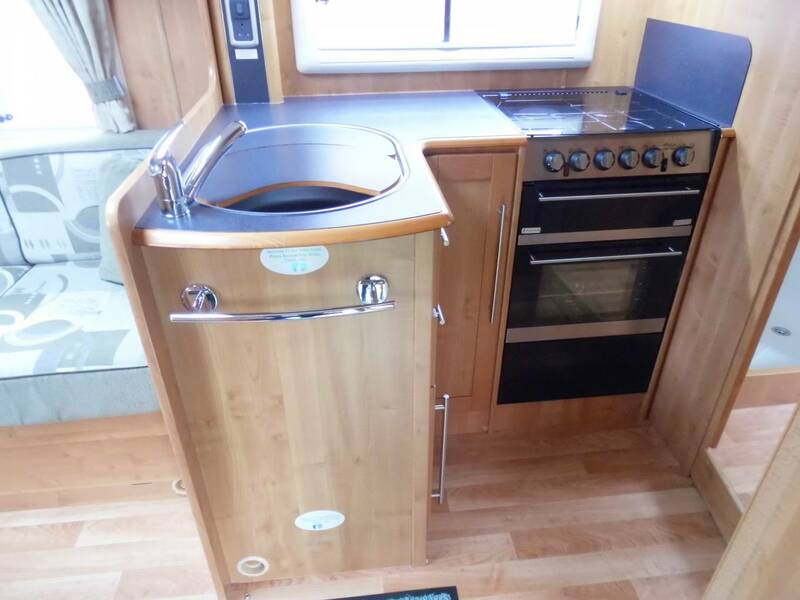 There is an oven and grill, a dual hob with 3 gas burners and 1 electric hotplate, a microwave, a huge 180 litre Thetford fridge freezer, a sink with mixer tap and plenty of drawer space to store your ingredients and utensils. The lounge area is just the most delightful spot to enjoy a meal or a glass of wine. There are 2 large side facing sofas finished in a very stylish green upholstery and the large windows throw in loads of light. Add in the freestanding table, spin both the front seat captain's chairs round and you have the perfect dining layout. 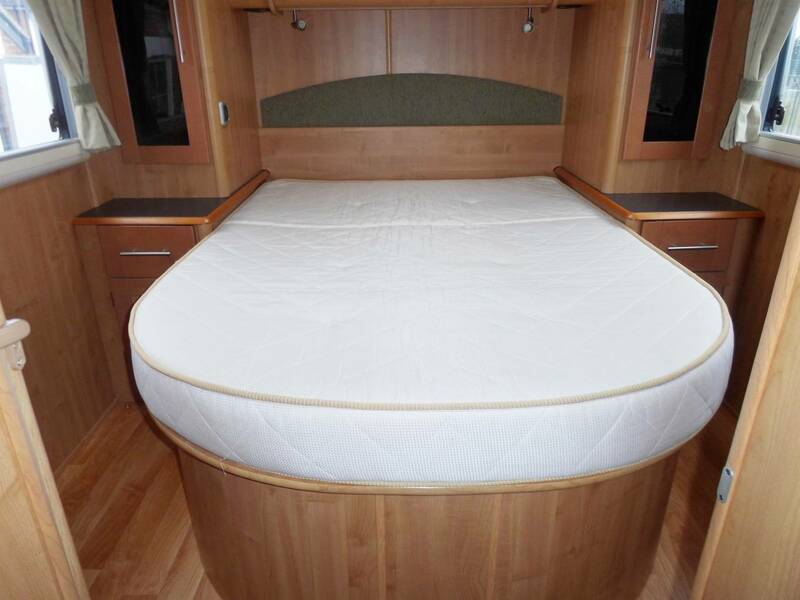 The 6 berths consist of the Island bed at the rear, a huge overcab bed and the sofas make up in to another large double. 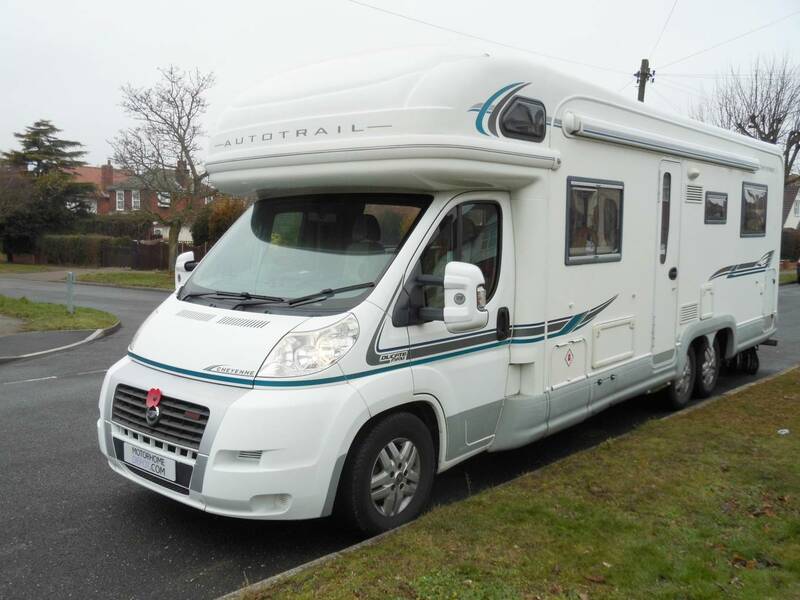 With a 3.0 litre engine and an automatic gearbox this motorhome is a real joy to drive and will cruise effortlessly up and down hills as well as on motorways. The owners are also including in the sale a safari room which attaches to the awning. To see a far more extensive file of photographs please call Mark on 07535 155674. 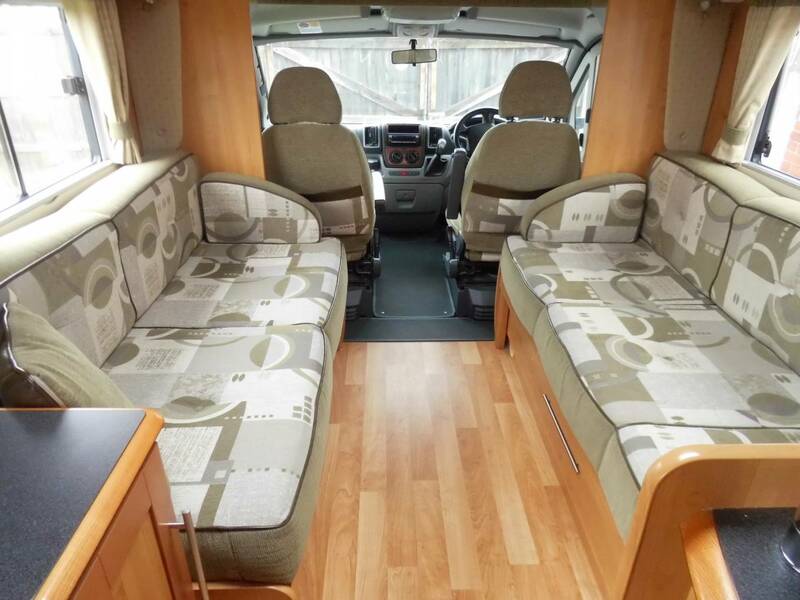 I can offer free 14 day insurance with this motorhome. The mileage on this vehicle was correct at the time of valuation, however the vehicle remains in use by the Seller until the point it is sold, therefore the mileage at the time of sale may be higher than that advertised. 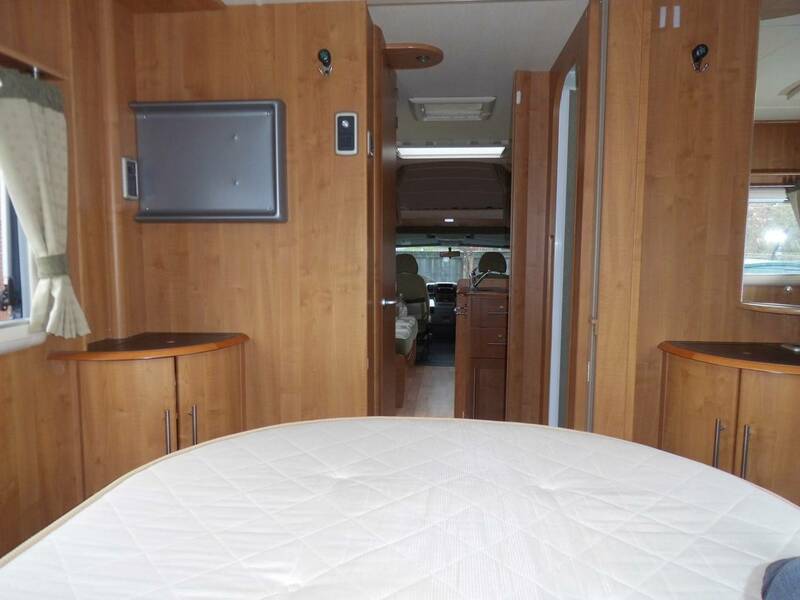 * All of the motorhomes on this website are sold on behalf of individuals. For more information about brokerage click here. As brokers, we do not carry out inspections on the condition of the vehicle or the mechanics of the chassis. 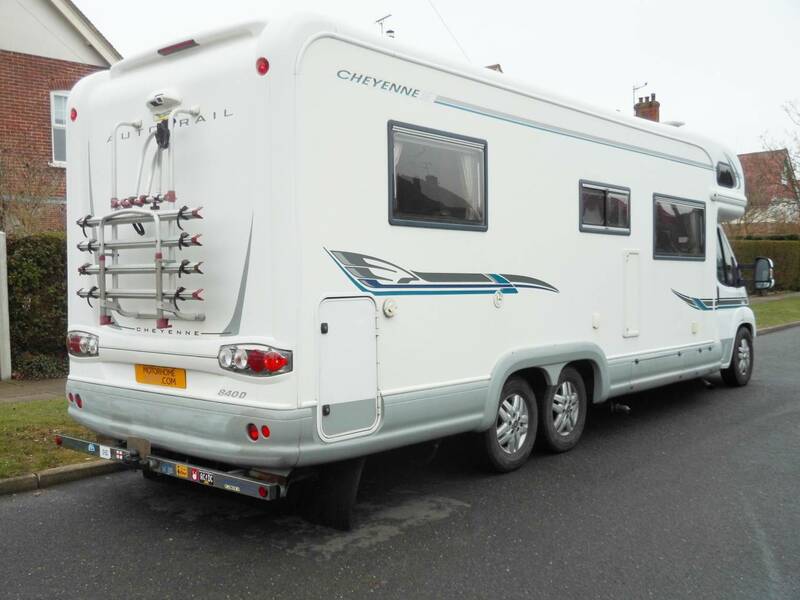 We advise all buyers to obtain a pre-purchase inspection on a motorhome prior to purchasing it. There are businesses that carry out pre-purchase inspections on behalf of motorhome buyers. Below is a link to our sister company Habcheck who provide this service. Mobile service. We go to the motorhome. 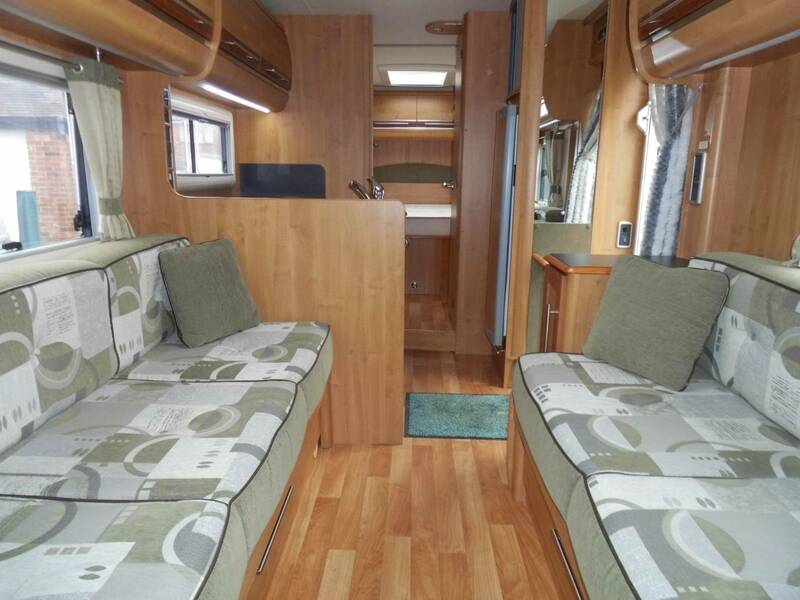 If you wish to buy this motorhome today at the price on the specification sheet, please contact the broker via the broker details above. If you have a motorhome which you wish to part-exchange or sell, there are several ways we can help you with that. Why buy from Motorhome Depot?